Safety Tips For Holiday Decorating | Carolina Homechek, Inc.
During the holidays, putting up decorations is a fun tradition for many families. 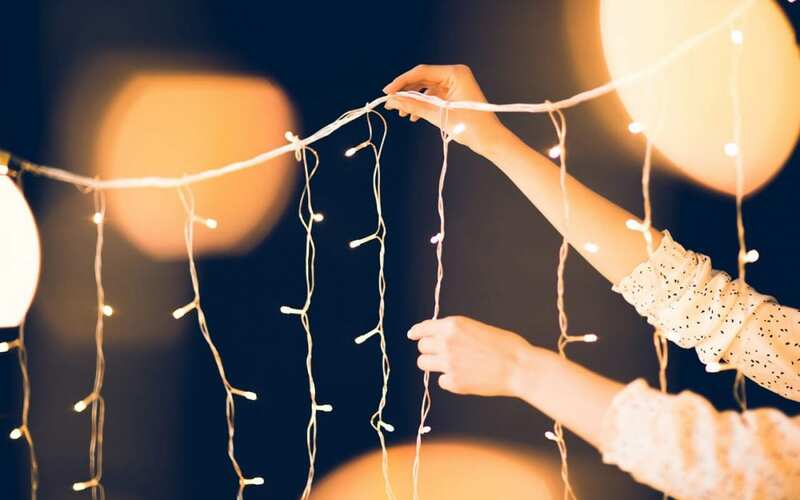 Whether you have the outside of your home decked out with lights or you’re putting up the perfect tree, decorating your home for the holidays is more than a hobby for some. Avoid the potential hazards that come with this time of the year by following our five safety tips for holiday decorating. Candles provide a cozy feeling during the holiday season, but they also create a fire concern. LED candles that use batteries are the safest option. Now you can buy electric candles that have a realistic flame and even come with timers and remote controls. You’ll never have to worry if you forgot to blow out a candle before you left the house and your guests will never know the difference. One of the safety tips for holiday decorating is to be aware of how many electrical outlets you’re using. During this time, it is likely that you’ll have more items plugged into the walls. Frayed wires could cause a fire, so check them carefully before use. If you are using a power strip, don’t overload it with too many plugs. Keep holiday lights away from flammable items. Safety tips for holiday decorating include ladder safety since so many people will be climbing them to decorate with string lights. A slip and fall accident is a concern for anyone who will be hanging lights outside their home. Always have a someone at the house when you plan on using a ladder. When you are climbing the ladder, have your helper make sure the holiday lights aren’t tangled up in the rungs. One person should hold the ladder while the other is hanging the lights. Place the ladder on a flat surface and make sure it isn’t near any ice. Only handle string lights when they are unplugged and inspect them for frayed wires before use. Did you know that many of our favorite holiday decorations are flammable? While flammable decorations don’t necessarily mean a fire will occur, it is essential to keep them away from any potential fire-starter. Sufficiently watering a tree is important because the dryness can be enough to spark a flame from the lights or a nearby heat source. Even an artificial tree should be labeled as fire-resistant. Inspect every item you’ll be using to decorate, and use common sense about where you place them. The best safety tips for holiday decorating are to be careful and check the condition of the items you are using. Don’t block exits of your home with holiday decorations. Work together with your family to make sure all the decorations are displayed safely. Carolina Homecheck wishes you a happy and safe holiday season. We offer home inspection services to the Greater Charlotte area.